Violent impacts that cause the brain to move within the skull cause traumatic brain injuries. Some of the causes of TBIs include car, truck, and motorcycle collisions, explosions, sports injuries, physical abuse, and falls. A traumatic brain injury may require around-the-clock care. Victims often suffer severe psychological, physical, and cognitive difficulties. For most serious TBI victims, their injuries are life-altering. 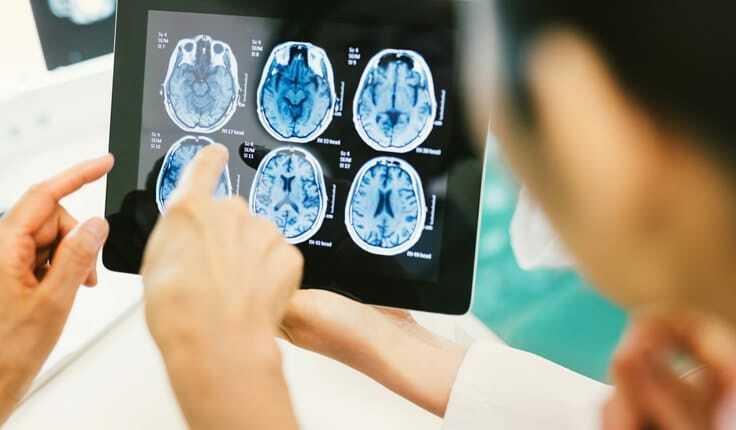 The Atlanta traumatic brain injury lawyers at Harris Lowry Manton LLP offer comprehensive legal representation for TBI victims who were harmed by another’s negligence. Our lawyers have obtained some of the top settlements and verdicts in Georgia in personal injury cases. Part of the reason we are able to obtain high results is because we understand what law, facts, and arguments are needed to prove fault. Another reason is that we work with your medical professionals and independent doctors to determine the full scope of surgeries, rehabilitative care, occupational therapy, and psychological counseling that will be needed. One of the first steps in pursuing a legal claim is obtaining an accurate diagnosis of the problem. Each TBI case begins with a proper assessment of the full range of signs and symptoms. Young children and babies often cannot communicate their complaints. Parents should observe the following indications. If the signs are apparent, medical attention should be sought immediately. Glasgow Coma Scale (GCS). This test measures a person’s ability to speak, to open his/her eyes, and the ability to move. The lower the score, the more serious the TBI is likely to be. Speech and language tests. Pathologists examine muscle control, the ability to use grammar, and the ability to read. Social communication skills and the ability to swallow are also analyzed. Cognition tests. These include the ability to think, solve problems, process information and memory. Neuropsychological tests assess cognitive behavior, brain behavior and sensory-motor processing. Imaging tests. These include computerized tomography (CT), magnetic resonance imaging (MRI), and intracranial pressure monitoring. A proper diagnosis is essential to beginning the right course of treatment. At Harris Lowry Manton LLP, our Atlanta and Savannah TBI lawyers understand how devastating these injuries can be. We work to get victims every dollar they deserve including compensation for all reasonable medical bills, lost wages, and the inability to work. Please call our lawyers in Atlanta at 404.998.8847 or in Savannah at 912.417.3774. Victims and family can also reach us through our contact form.